This lovely illustration from Claudia Pearson and accompanying recipe totally put the pitter-patter in my heart today. Mad day of cooking to follow as a result and we are soooo making this zucchini recipe this weekend. Yum. 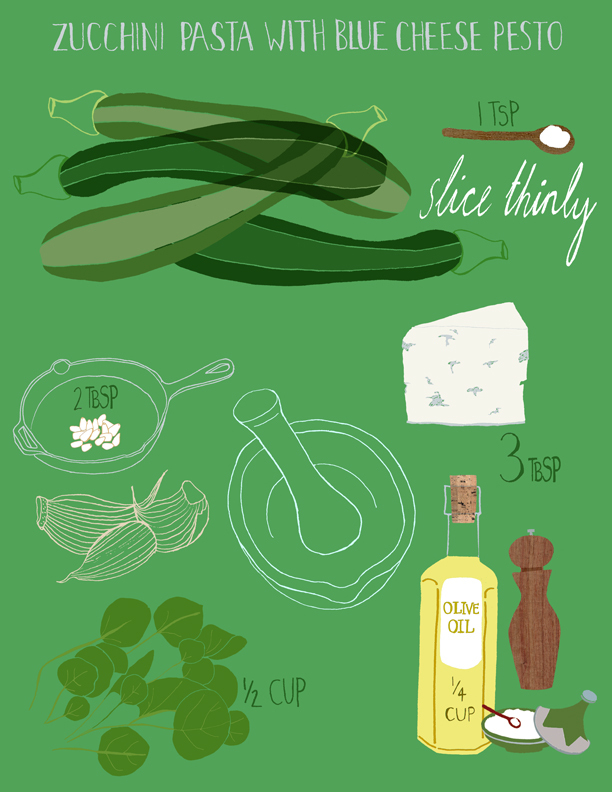 You can see more of Claudia Pearson‘s monthly recipe illustrations at her blog.